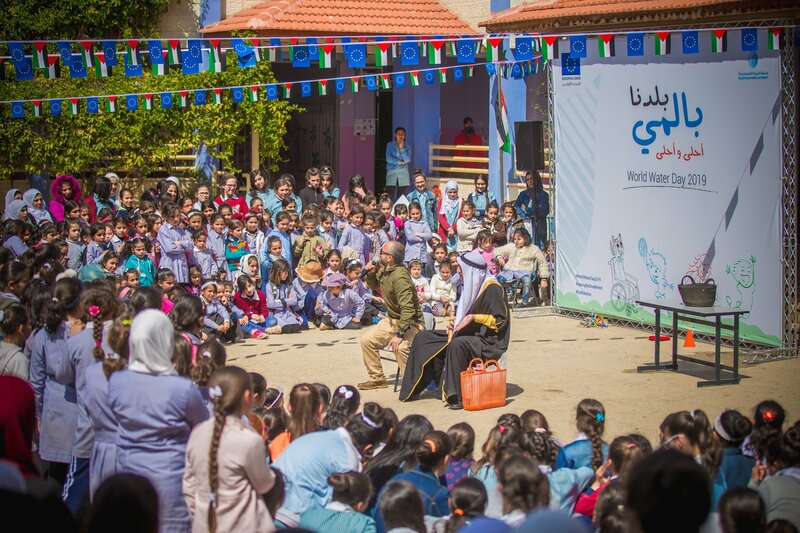 Today the EU Delegation to Palestine launched its theater tour activities to celebrate the world water day at AL-Haja Nabeha Al-Masre school in Tubas. Almost 360 student joined and attended the educational play that highlights the concept of water conservation. They played some educational and sport games, and sang the new song (Sami and the spring) that was produced for this occasion. The EU tour will continue in five more schools.